2012 --- While initially being retired, Ellen plays in five big league-games this season for Gryphons, hitting .375 (3-for-8) and scores twice. 2011 --- In the first part of the season, Ellen plays in several games for Gryphons, which plays in the second-highest Dutch league, doing the catching in the squad for American pitcher Taryne Mowatt --- At the end of the season, Gryphons promotes back to the big league and Ellen announces her retirement. 2010 --- In the regular season, playing for Euro Stars, Ellen plays in 32 games, hits .255 and leads the team with 19 runs scored --- After completion of the season, Ellen decides to transfer to Gryphons for the 2011 season. 2009 --- Before the start of the indoor practice-sessions, Ellen announces in January that she is unable to combine her work with the practice-schedule and withdraws from the National Team --- In the regular season, Ellen hits .290, scores 20 runs (second best of her team) and collects 31 basehits (third best of her team). 2008 --- Ellen is 2-for-3 and scores once in the game vs. California State University-Bakersfield, which is the third game of the first American Tour of the Dutch National Team as part of its preparations for the Olympic Games in Beijing. For Ellen, this is the only game she played during the Tour, as she was available for a few days only, while playing for Central Michigan University, which is headed by wellknown coach Margo Jonker --- On May 29, after entering as a pinch-runner in the seventh inning, Ellen scores a run for the Dutch in a 6-4 loss in the opening game vs. Philadelphia Force during the second American Tour --- Two days later, she singles in a run, which gives the Dutch a 4-1 lead in the third game vs. Philadelphia, which comes alongside in he next at bat, before the game is interrupted by lightning. 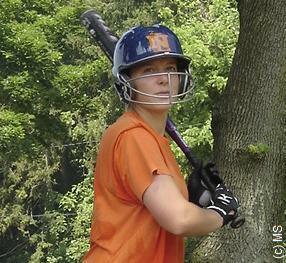 It will be completed the next day and ends in a 5-4 loss --- On June 14, Ellen goes 1-for-3 in a 3-0 win in the fourth and last game vs. Rockford Thunder --- Four days later, she is 2-for-2 in the opener vs. Akron Racers --- On July 14, Ellen is one of 15 players being named to the roster for the Olympic Games --- In the first game of the Tri-Nations Tournament during the Japan Tour, Ellen is 1-for-2 and walks once vs. Canada --- On August 12, in the opener of the Olympic Games, Ellen makes her Olympic debut in the game vs. China --- After returning from playing for Central Michigan University, Ellen joins her team Euro Stars in mid-season. She hits .350, which is the highest of her team, but she doesn't have enough at bats to qualify for the league-statistics. Ellen also leads her team with 18 runs and 5 stolen bases --- On December 11, Ellen is one of 28 players being named to the preliminary roster of the Dutch National Team for 2009 and is invited to start practice in January. 2007 --- On May 28, Ellen reaches base twice, singles and scores once in a 15-0 victory vs. Greece during the European Championships in Amsterdam (Netherlands) --- On June 15, in the first semi-final of the Olympic Qualifying Tournament in Italy, Ellen singles and scores, but the game is lost 7-4 in 8 innings --- But in the end, the Dutch reach the final, defeat Italy and qualify for the Olympic Games in Beijing --- In her first season with Euro Stars, Ellen leads the team with 15 runs and 31 basehits, while hitting .301 and collecting seven RBI's --- After the season, Ellen leaves for the USA for her first year studying and playing at Central Michigan University. 2006 --- In her last season with DSC '74, Ellen collects 35 basehits, scores 12 runs and hits .318 --- For the second time in her career, Ellen wins the Egbert van der Sluis Memorial Trophy for Best Dutch International under 23. 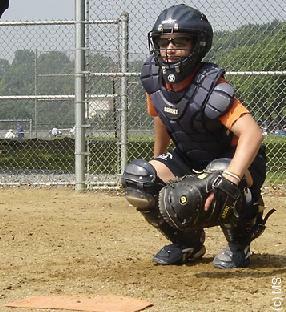 2005 --- Ellen sets career-highs this season with 15 RBI's, a .327 batting average, 34 basehits, including her first big league-homerun, 12 stolen bases and scores 15 runs --- With her 12 stolen bases, she leads the Dutch big league --- On their own site in Haarlem (Netherlands), DSC '74 organizes the B-pool tournament of the CupWinners Cup and wins it. 2004 --- In the regular season, Ellen hits .236 --- With DSC, Ellen participates in the European Cup in Viladecans (Spain), finishing in fifth place. 2003 --- With DSC '74, Ellen hits .278 and scores 13 runs, while her team wins the Dutch championship title, being coached by current Dutch National Team Assistant Coach Rob Walgien --- After the season, she is awarded the Egbert van der Sluis Memorial Trophy for Best Dutch International under 23. 2002 --- In the regular season, Ellen scores 19 runs and hits .287. 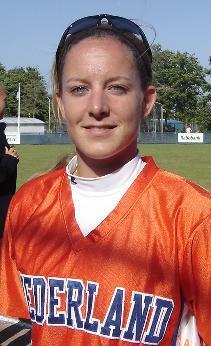 2001 --- Ellen makes her debut in the Dutch big league, playing for DSC '74 in Haarlem. ELLEN is the daughter of Loek and Ineke Venker, has brother Barry and sister Leonie, who in 2005 played softball in the Dutch big league for Birds. 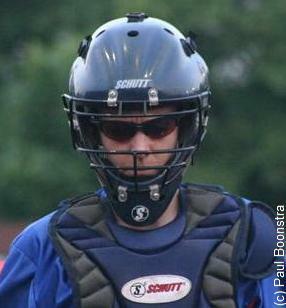 In October 2011, Ellen's father Loek Venker became the Team Manager of the Dutch Junior Red Softball Team. Copyright Photos © 2008-2013 Marco Stoovelaar (head shot/top two action) / Paul Boonstra (bottom action).